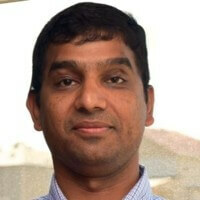 Pushpa Sekhara Reddy Matli is an Enterprise Architect with more than 15 years of IT experience in analyzing, planning, and designing enterprise applications using a comprehensive approach. He has successfully architected, executed and implemented various highly scalable and highly available solutions for large complex projects in multiple domains such as Video, Finance and Logistics for Fortune 500 companies. Pushpa Sekhara is also a AWS Certified Solutions Architect, Certified Administrator and Developer on Apache Cassandra.